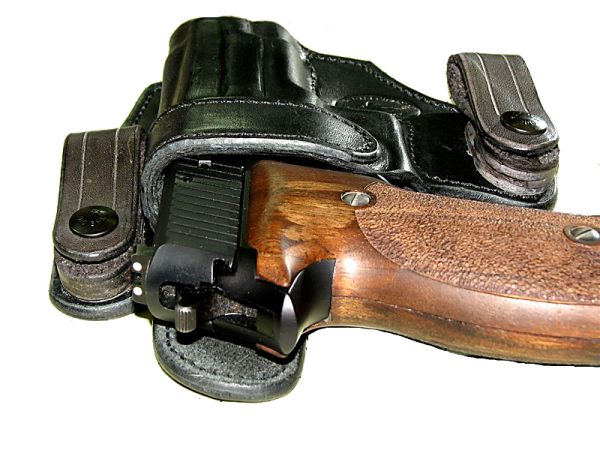 This is our version of the side-strap, Inside-the-Waistband holster designed by Milt Sparks. 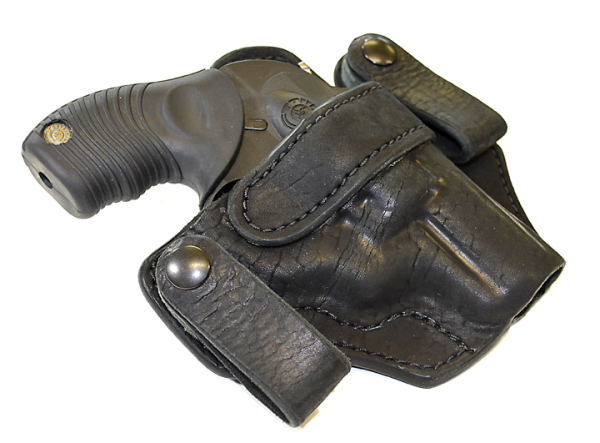 This design is the pinnacle of concealment holsters. Worn behind the strong-side hip, it’s supported both by the waistband of the pants and the belt. 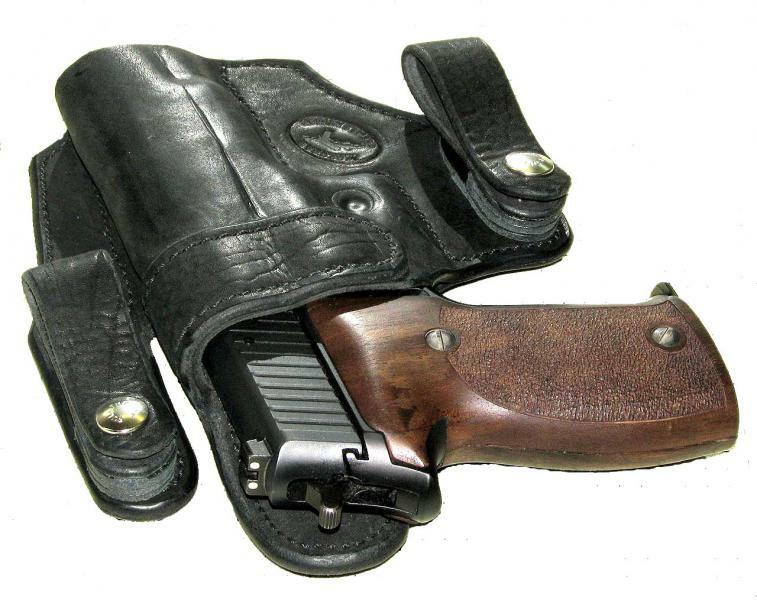 It's the most concealable type of holster for a mid- to full-size pistol. 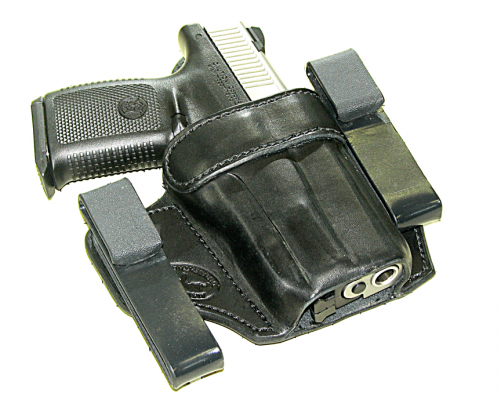 This holster sits deep inside the waistband for good concealment. Most of the gun is concealed inside the pants. 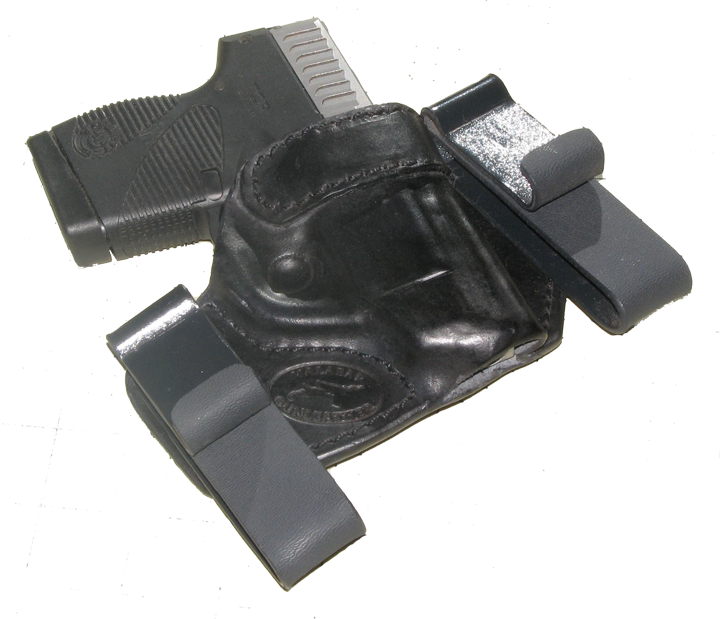 We offer two types of kydex clips that enable the wearer to tuck in a shirt over top of the holster. -- instant mounting and dismounting from the waistband using replaceable leather straps. Pricing: $85 in black Hermann Oak cowhide, for small- to full-size autos, or small-frame revolvers; $95 in drum-dyed, soft-rolled horsehide if available, for small- to full-size autos or small framre revolvers; $95 in natural tan horsehide or small- to full-size autos or small frame revolvers. Tuckable Kydex clips are $10 extra.